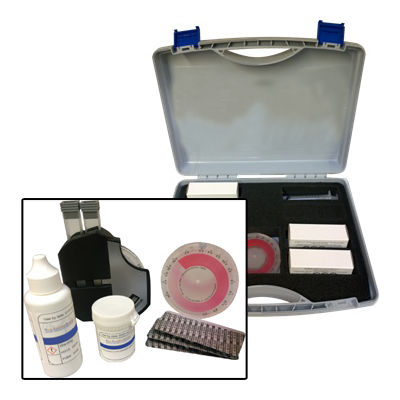 A comparator test kit that can be used to measure chlorine in system waters. The 0-5ppm test kit is ideal for measuring chlorine in potable water and in systems where chlorine is dosed continuously. This kit will measure free and total chlorine.